Are Needle Exchange Programs working? Does giving an addict sterile needles help them quit? Does Harm reduction work? 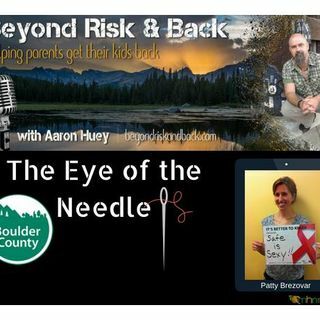 Aaron Huey, founder of Firemountain Residential Treatment Programs, and Patty Brezovar discuss the ins and outs of needle exchanges, Aids, Hep C, and the Opioid Crisis. Patty faces the criticism and doubt with grace and compassion, the same way she supports addicts who suffer. For the past 18 years, Patty has worked at Boulder County Public Health, as a harm reductionist in ... See More the Works Program, a syringe access program serving people who inject drugs. Beside the participants of the Works Program, she works with inmates in the local jail, the general public, law enforcement and other community partners to educate on how to reduce overdose and other harms associated with drug use, and to prevent and eliminate the spread of HIV and Hepatitis C. She is passionate about interfacing with people who are often shamed and stigmatized for drug use.